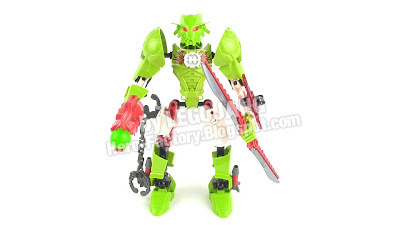 May 3, 2010, when the Bionicle world was still deep in sorrow over the sudden announcement that a new thing called "Hero Factory" was going to replace the beloved franchise, I released my first "good guy" MOC based on the new universe, Vergis Rhey. 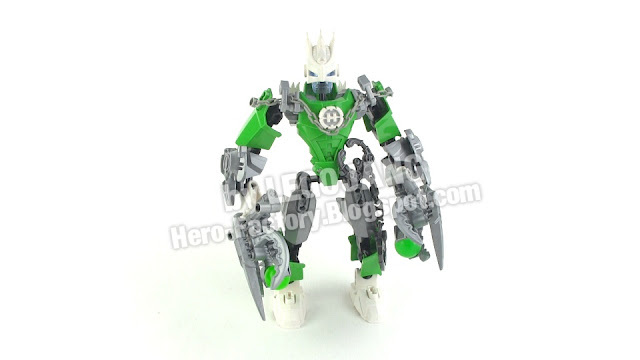 It made shameless use of Ben 10 action figure pieces to form something I knew would remain unique. January 28, 2012, Vergis Rhey returned, fully modernized & ready for the Breakout missions!! 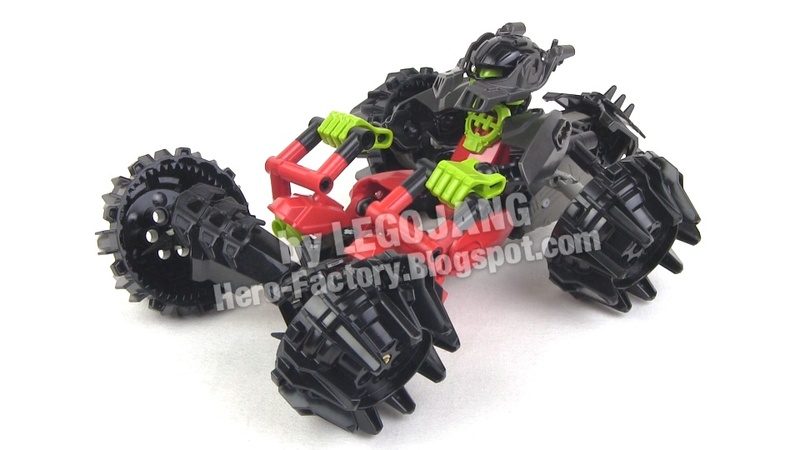 Here's a different take on Hero Factory RACERS, one that drops half the wheels & ironically picks up a lot more complexity in the process. This series is all about the vehicles, not the heroes, and this one took hours of experimentation over the course of about a week. Awhile back I mentioned that I was developing a small Hero Factory MOC series that included vehicles. 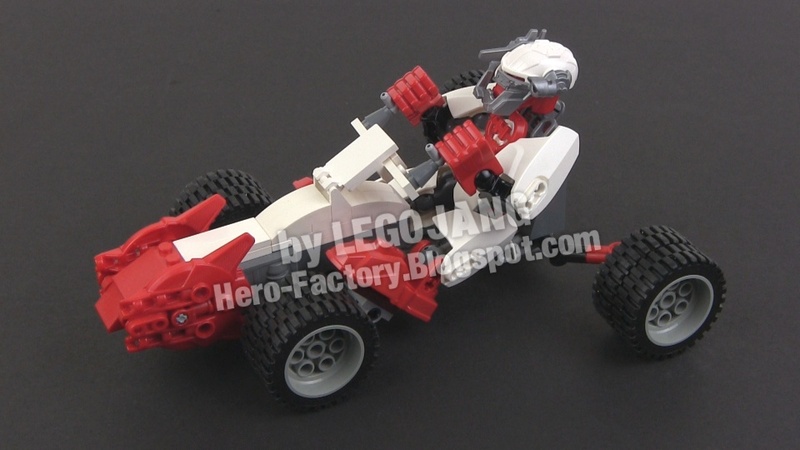 Well, here's the concept, the LEGO Hero Factory Racers! 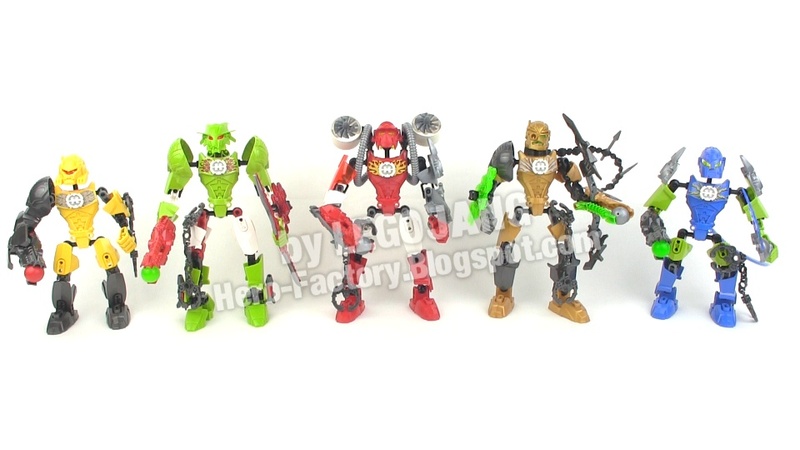 The series will combine two popular LEGO themes together to add a plausible, tangential branch off the official Hero Factory storyline. 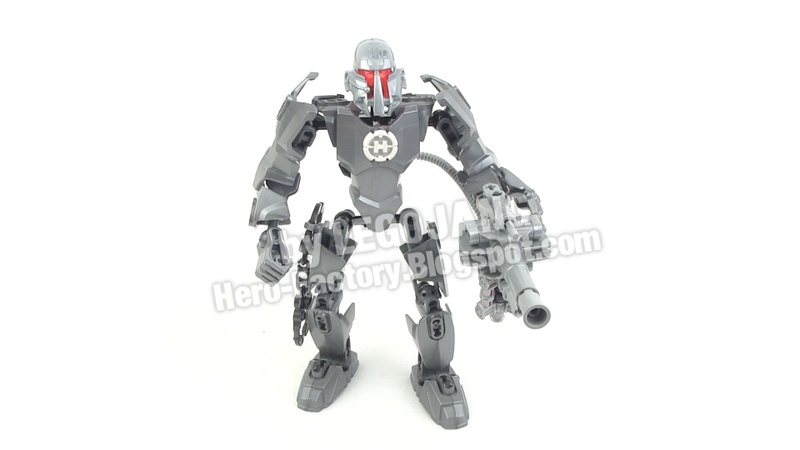 After the defeat & capture of the Fire Lord, Hero Factory staff found themselves overflowing with new technology & equipment and extremely well-trained heroes, but let's be honest, there wasn't a lot of major badness going on around the galaxy that required the full strength & attention of this heroic force. So many small-time villains were scared into either hiding or reformed lawfulness by the might of the 2.0 heroes that field Hero deployments dropped to a 6-year low. Frankly speaking, there were a lot of bored heroes and tech staff alike at the Factory. Redox tried in vain to drum up support for a full aesthetic makeover of the iconic Assembly Tower. Nobody else wanted to do that much menial labor. Kalek pushed for remote drone competitions, an idea which got a lukewarm reception. Stormer suggested taking Kalek's idea a step further, turning it into a more exciting activity that would more directly engage both tech- and sport-savvy staff. The Hero Factory Racers program was born with blessing from Mr. Makuro, who was convinced that the morale boost would be worth a respectable investment, especially if some of the technology developed for the competition could be adapted for official hero mission use. Racer teams would each consist of one hero, one design engineer, one fabrication specialist, and one propulsion & electronics expert. Budgets would be fixed and equal across all teams. Races would be multi-stage point-to-point rallies across varying courses on different nearby planets with unique terrain challenges. Prizes? A few credits would be doled out here or there, but the teams mostly wanted the glory & bragging rights of tallying up individual event wins. With the premise set, I decided to create a miniature hero size, just a little larger than my Rocka XL XXS and Epic Witch Doctor, to allow the vehicles to be small & moderately simple. 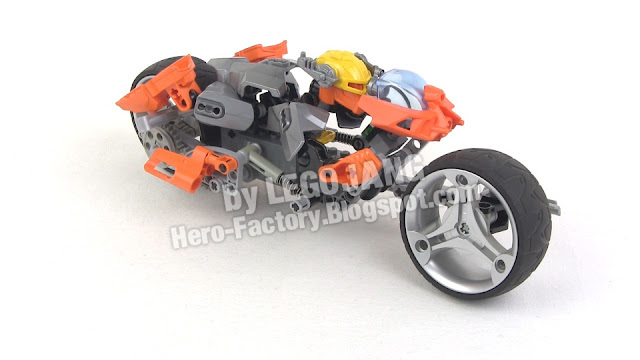 I also specifically slotted the inception of the HF Racers concept in the 2.0 timeframe because with the 2.0 head system now completely abandoned, I wanted to use those parts one last time. So that's it, that's what Hero Factory Racers are all about! I'll start unveiling individual racer/vehicle combo MOCs soon! 46 comments - Post a response! 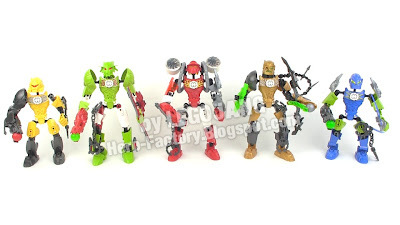 For folks who haven't already seen them, here are my video mini-reviews of the LEGO Hero Factory Breakout or series 4 wave 1 combination models. 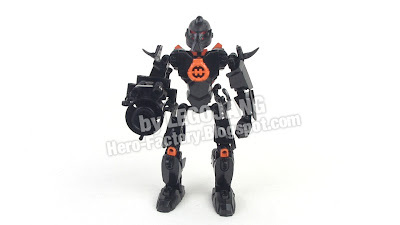 Whelp, like I say pretty clearly in the video, this isn't trying to be a summer 2012 Bulk replica, it's just an updated homage to Hero Factory's original Bulk in a Breakout style. 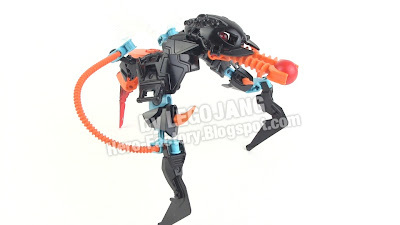 Some folks wish one or another thing was different about this MOC. That's cool. I like it just the way it is, though! 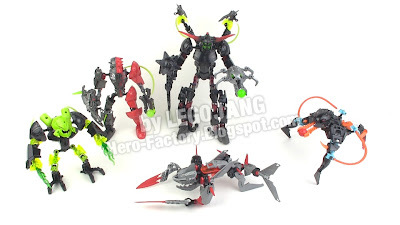 Here's my last look at the official LEGO Hero Factory Breakout wave 1 sets, a recap of all of the evil villains! With all of the set reviews complete, here's a look back over all of the LEGO Hero Factory series 4 or "Breakout" wave 1 hero figures from the Winter 2011-2012 release! With all of the Hero Factory series 4 reviews completed, I've done two summary videos covering all of the sets together, and those will be uploaded to YouTube in the next couple of days. With those videos captured, I went ahead and created all five of the series 4 wave 1 combiners and captured video overviews of them. Those videos will be uploaded over the course of the remainder of the week! 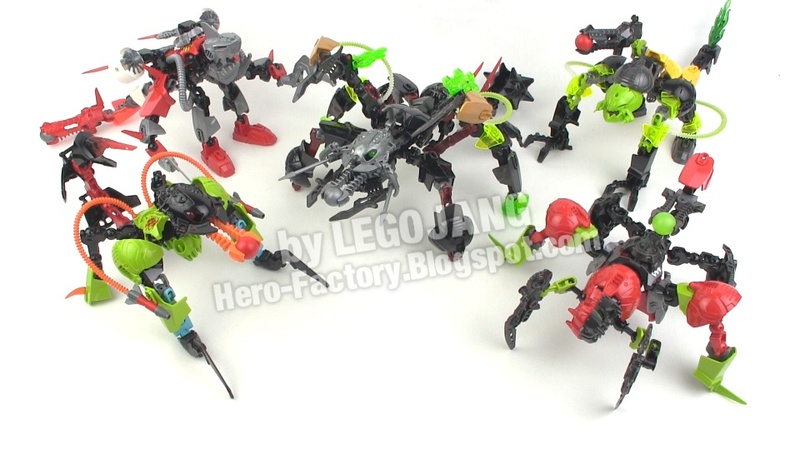 I've actually already taken the combiners completely apart, and I just need to spend about 20 more minutes sorting & storing the remaining parts before the official winter 2011-2012 sets will be nothing but history for me, and I'll be back to focusing on only MOCs! NO! I was obviously NOT trying to make a replica of the upcoming official Breakout Stringer set! 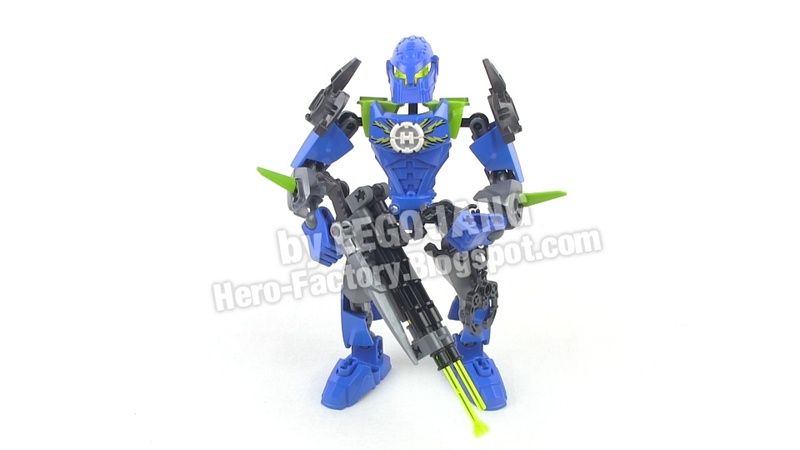 This was my own way of bringing one of the Hero Factory originals up to 2012 specs. 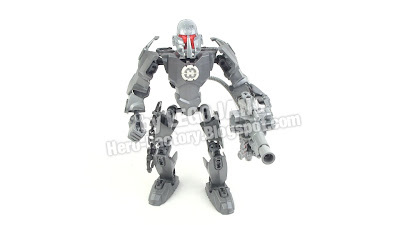 I call this Hero Factory MOC a "revamp," but it's technically built up from scratch; except for the chest plate, my original series 4 Surge figure remains untouched on display. I felt bad about how the official figure looked, kind of small, kind of awkward, and wanted to bring Surge up to the same level of detail and prominence as the larger heroes of the series, so here's the result!